2016 Govecs GO! T2.6. Picture credits - Govecs. Submit more pictures. Electric scooters are especially suited to the commercial sector due to their low maintenance costs. With the GO! 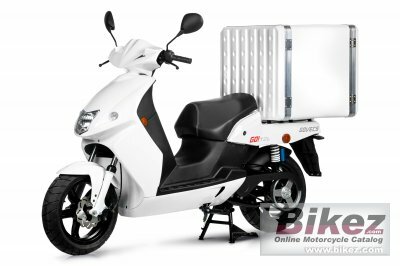 T series, companies can choose between scooters of all battery and capacity types, depending on their intended application. High-quality material processing and a sophisticated battery system provide durable, sustainable and energy-saving use in the daily business process. Ask questions Join the 16 Govecs GO! T2.6 discussion group or the general Govecs discussion group. Bikez has reestablished Bikez.info motorcycle web shop overview. Here we present the major online shopping possibilities for motorcycle parts, gear and accessories. This includes customizing and insurance. Search and compare products and prices. Try our 2016 Govecs GO! T2.6 discussion forum if you have questions or comments. Information about any technical issue is always welcome.